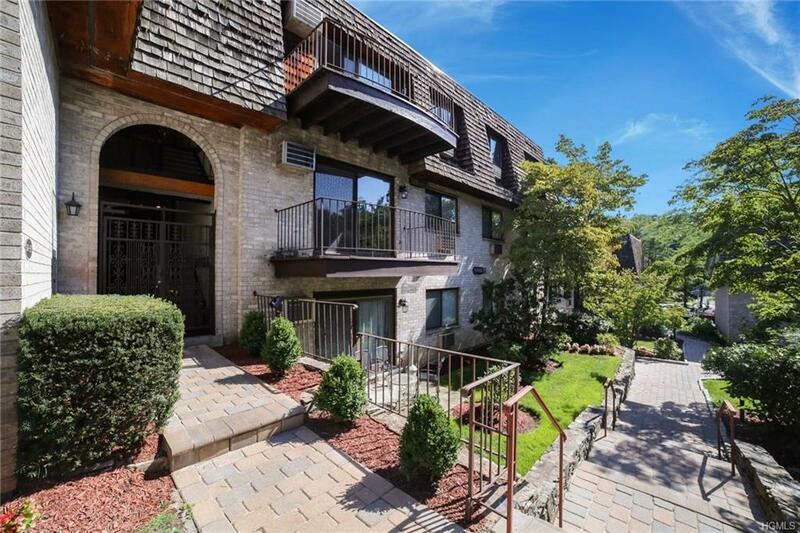 Spacious and bright condo in meticulously maintained Scarsdale Meadows complex with pool, playground and picnic area. 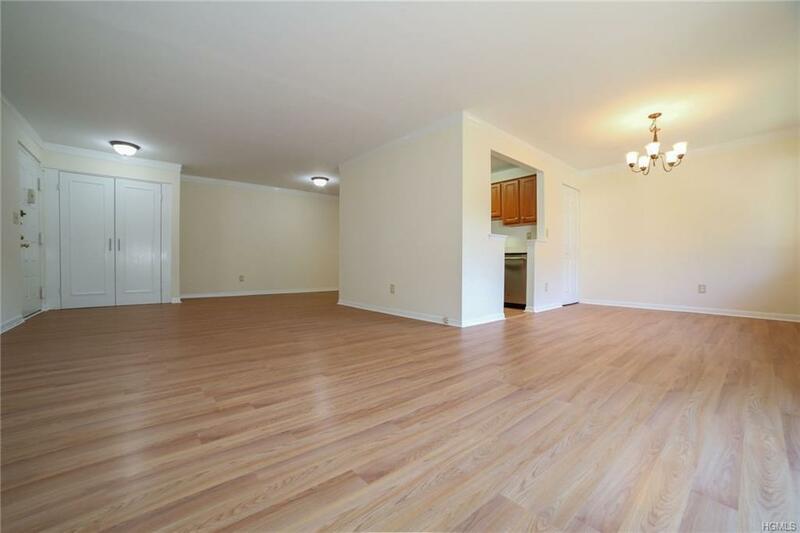 Freshly painted interior, new floors, and updated kitchen with new premium stainless range/oven and refrigerator. 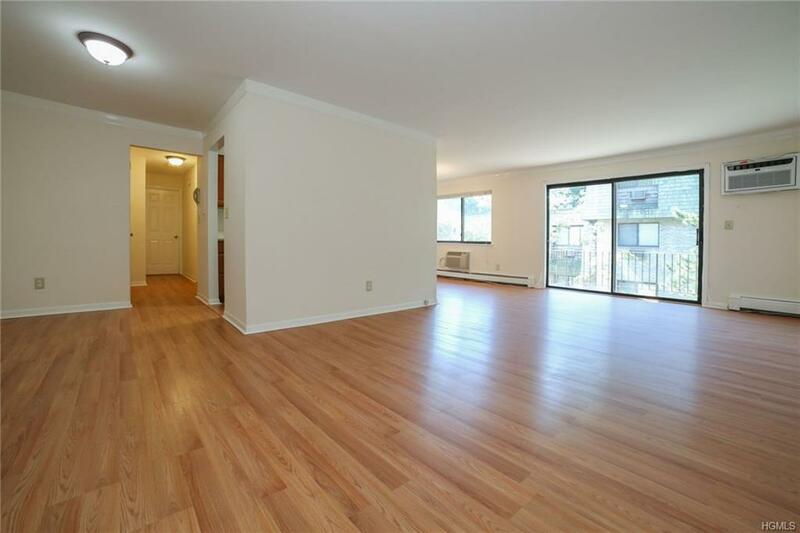 Open floor plan dining room/living room/sliders to balcony overlooking lush gardens. At-home office alcove. Master bedroom suite with walk-in closet and lux bath. Two beautiful bathrooms and laundry in unit. Sunny southern exposures. 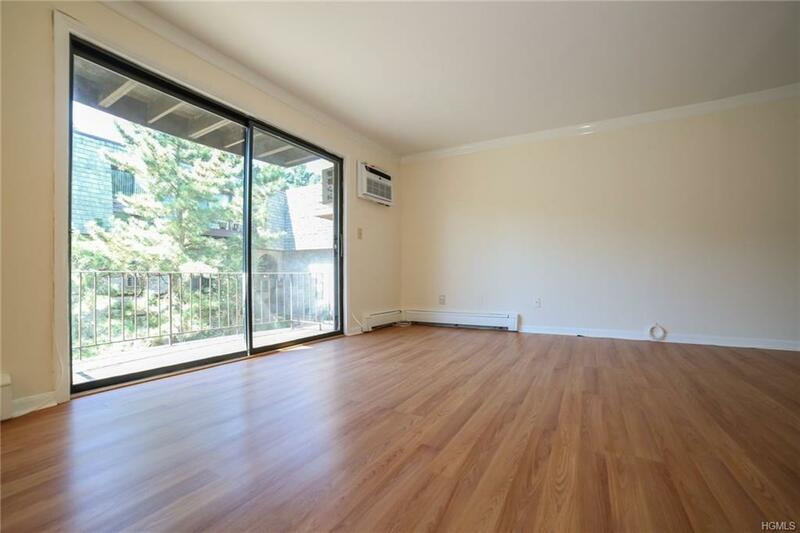 Convenient location: close to shops, restaurants, and express bus to NYC. Commuter bus to Scarsdale RR on corner. Assigned parking space and ample visitor parking INCLUDED. Edgemont School District. Pets allowed. Listing courtesy of Shirley Schaeffer of Coldwell Banker Res Brokerage.